SAN FRANCISCO, Calif. (KGO) -- If you were afraid Grumpy Cat might someday be forgotten, fear no more. The frowning feline will become the first cat ever to be immortalized in wax by Madame Tussauds. Not only that, but wax Grumpy Cat will be animatronic, with five different movements. The figure will be introduced at Madame Tussaud's later this year. 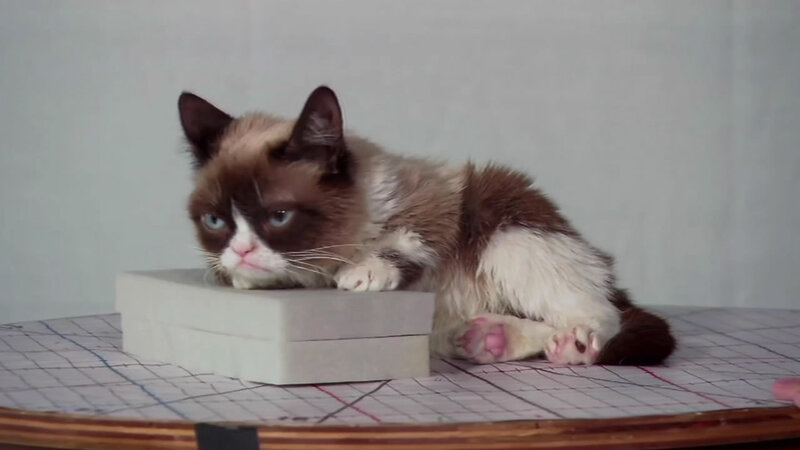 Grumpy Cat, whose real name is Tardar Sauce, gets her signature frown from an underbite and feline dwarfism.